Each season seems there seems to be a new fabulous shoe trend. 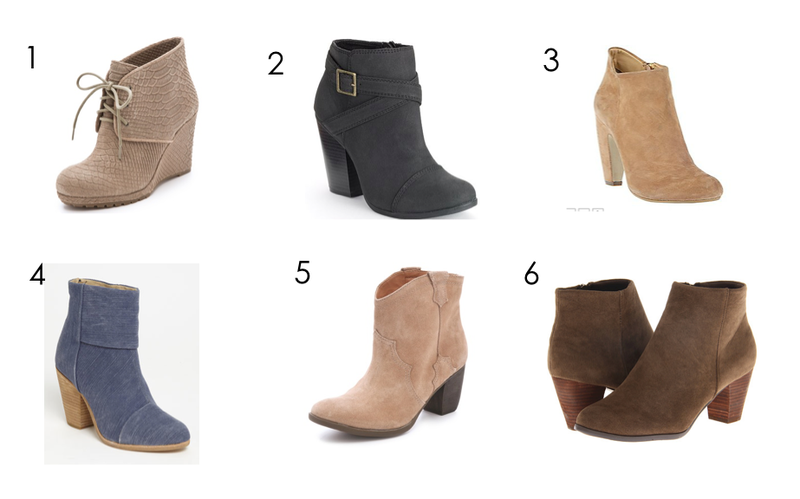 This fall, it's ankle booties. They are so wearable and comfortable . They can be paired with skinny jeans, from sweater dresses. I love my pair from Shoemint (I have worn them to death). You can still find the perfect pair, and won't break the bank.